Your student(s) will be emailed class work from one or more of their teachers, that is to be completed in the event that we have more days off school due to weather or conditions out of our control. 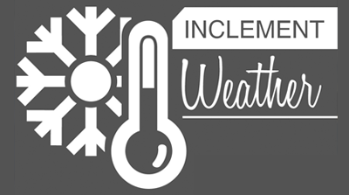 Teachers may assign more than one day of work, as there is a possibility of weather conditions tomorrow and next week which could result in there being no school. Please be sure to have your student email their teacher if they have any issues with the assigned work. Your child is responsible, if there is a day of no school due to weather, to complete the work for that day. Please read the guidance from the Illinois State Board of Education below on what constitutes a day of attendance for instructional days interrupted due to weather.